I want to tell you a story about a washing machine. A few years ago, I got a new washing machine with a much larger capacity than what I was used to. It was glorious. I could throw all kinds of things in there and still have room for more. One day, I tossed in a load of towels and then added a blanket before I started the cycle. No big deal. There was still plenty of room—it wasn’t nearly as full as I’d had it in the past. A few hours later, the washing machine was still running. An hour later? Still running. It couldn't get out of an endless cycle of wash and rinse. I despaired. The machine was only a year old. Surely it couldn’t be broken? I wrestled the wet towels out. Then the blanket. To my surprise, the blanket weighed a ton. Way more than a similarly sized wet towel would weigh. The towels and blanket wound up taking hours to dry and all the while, the rest of the laundry piled up. I wish I could tell you this has never happened again, but I can’t. What I can tell you is that now when it happens, I know what the problem is. And I know how to fix it. The problem? The machine is overloaded. Sometimes the why is obvious. I crammed too much in there. But sometimes it’s because I added just one more thing. It turns out that some of our blankets absorb an unbelievable amount of water when wet. They need to be washed alone—even though it appears that there’s still plenty of room in the washing machine. You know where I’m going with this, don’t you? As writers, much of what we do is unseen. We sit with our laptops in our recliners or at our kitchen tables, maybe at the library, Starbucks, or Panera. We pound out words on our lunch breaks or before dawn or after the kids go to bed. And to those on the outside looking in? It seems like there’s plenty of room to add just one more thing to our load. But just because it looks like you aren’t busy, doesn’t mean you aren’t already at capacity. And here’s the really tricky part. Sometimes, that one more thing? It’s like my blanket. It seems like it could fit with no problem, but then you realize that it’s a heavier load than you were prepared for. And then it takes so much time that you can't get to all the other things you’ve committed to doing. Please hear my heart on this. I’m not in anyway suggesting that writers should retreat from the world, or use their writing career as an excuse to say no to everything. Not at all. What I am saying is that if you want to be a writer, you’re going to have to evaluate every single item that goes on your load. You’re going to need to pray over every yes and every no. And when you say no, you’re going to have to be brave and stick to it. It’s hard. People will not understand. They see your life and think there’s room for more. They don’t understand that writing can be a heavy thing. It can zap your mental, emotional, physical, and spiritual energy and it takes time to recharge. So how do you avoid overloading? Consider having a policy that you never say yes immediately so you can take a few days or weeks to look at all the angles before you commit (and save yourself a lot of regret later). It will take practice, and sometimes you’ll feel silly. Do it anyway. In my own life, it’s been the things I gave a quick yes to (because they seemed like no big deal) that have turned into unexpectedly heavy obligations. Another option? Ask your spouse or a close friend to help you take an objective look at what you’re already doing and decide if there’s room for anything else. Then listen to them. They probably have a better perspective on it than you do. And if you’re reading this and thinking, “I’m already in an endless cycle” you may have to power through for a while. Use this time to evaluate what you’re doing and why. Did you say yes because you can’t imagine life without that activity? Great. Keep it. If not, look for natural opportunities (end of calendar year, end of school year, end of sport season) to step aside. Give people notice and then transition out of the obligations that are keeping you from your writing. Just because you’ve always done it, doesn’t mean you have to keep doing it. 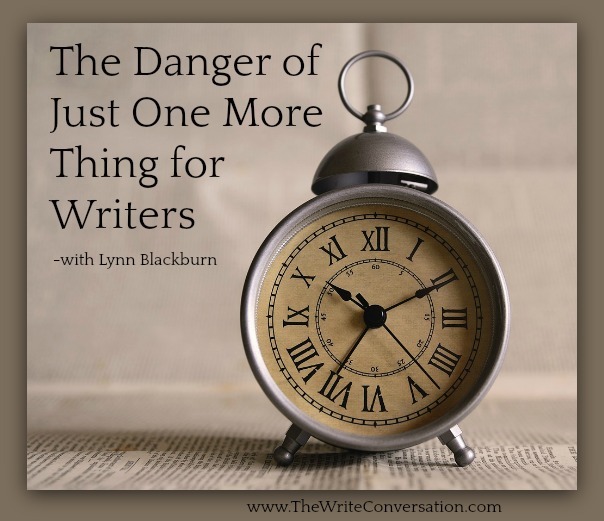 Lastly, beware the “one more thing won’t hurt” mentality.That one more thing may be the difference between years of “trying to get this book finished” and a completed manuscript. Do you have suggestions for how to protect your time? We’d love to hear them! Lynn H. Blackburn believes in the power of stories, especially those that remind us that true love exists, a gift from the Truest Love. She lives in South Carolina with her true love, Brian, and their three children. Her new Dive Team Investigations series kicked off in March of 2018 with Beneath the Surface. The second book in the series, In Too Deep, releases in November of 2018 with the third book to follow in 2019. 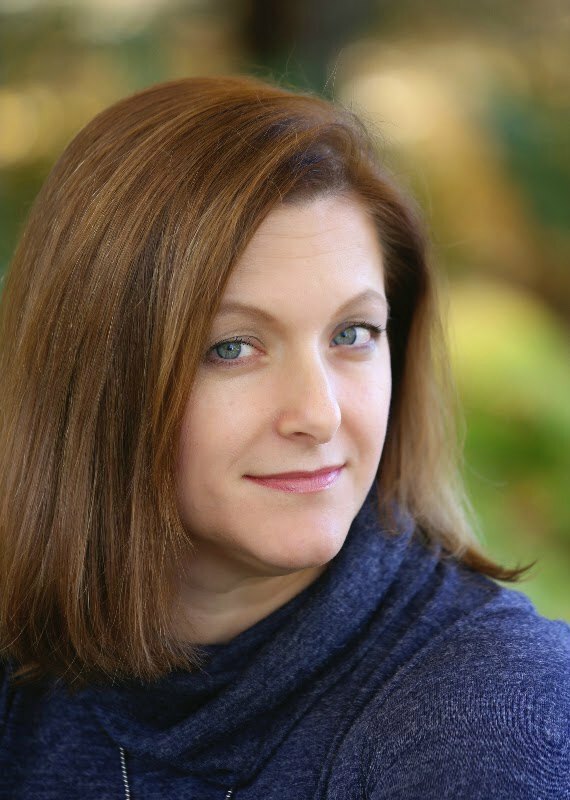 She is also the author of Hidden Legacy and Covert Justice which won the 2016 Selah Award for Mystery and Suspense and the 2016 Carol Award for Short Novel. You can follow her real life happily ever after at WWW.LYNNHBLACKBURN.COM and on FACEBOOK, TWITTER, PINTEREST, and INSTAGRAM. Not where I thought this story was going from its title at all. Am so glad I read it through this morning. Well said ma'am. God's blessings. Preach it, Sista! You are so right. I have tried (tried being the operative word) to train myself to say, "let me pray about it." before giving an answer. Awesome post, Lynn. Thanks for the reminder! Yes, ma'am and Amen. Thanks for reminding us that we are indeed limited. Spreading ourselves too thin lessens the impact of everything else we do, too. My parents' nursing home is asking for volunteers, and I was about to raise my hand, but I am already their guardian managing their affairs, a timely task. On top of that, I read audiobooks for the National Library System each week and have an ink-not-yet-dry contract for two more novels. I didn't tell my family about the volunteer program because they might think that the perfect fit for me, and I didn't want to listen to them tell me I ought to do it when I know it would spread me too thin. Everyone thinks we're loaded with time when we write for a living. Thanks for this. I am SO guilty of "one more thing" syndrome! Thanks for the helpful tips. Perfect timing. Great great post. Thanks for this today. I needed to read! the power of saying no!! two tiny letters and so hard to say. When Do You Let Go of a Piece of Writing? Need More Time to Write? Just Say NO!